Pot leads to the munchies, which leads to weight gain, right? A study of medical marijuana users nationwide found that in those states that allow such use, obesity rates are 2-6% lower than projected rates. Since the cliché of marijuana use leading to binge eating, popularly called “the munchies,” would seem to imply that pot use might lead to weight gain on average, the results are surprising at first glance. Even more so, considering that medical marijuana is prescribed specifically to stimulate appetite for HIV and cancer patients. But certain key factors offset that aspect. The research, led by Joseph Sabia, a San Diego State University economist, reviewed nationwide public-health surveys from 1990 – 2012. The study found several reasons for their findings. One is that marijuana use can replace alcohol use. Alcohol is high in calories, and just limiting drinking can result in weight loss. Another reason is that when older adults use medical marijuana, they gain increases in mobility. With pot relieving pain from arthritis, joint/connective tissue disease, or other conditions, older adults move more, walk more, are more active and therefore can lose weight. These two factors account for most of the data. The study is an important one, regardless of its limits, because it is among the first to look at the total public health effects of legalized marijuana, including weight, wellness and exercise. At this point, 23 states plus the District of Columbia have some form of legalized marijuana use. The findings surprised even experts, like Brandan Saloner, assistant professor at Johns Hopkins University’s Bloomberg School of Public Health who holds a doctorate in health policy. “If you had asked me before reading this study which direction I would have thought the results would go, I would definitely have thought that the munchies effect would have been the bigger factor here,” Saloner said. But he added, “I think this is a novel and important study, and a well-done study. But we still need to zero in on people who are actually consuming cannabis through a state program and more directly measure how their health changes,” Saloner said. As marijuana is still classified as a Schedule 1 drug, it had been difficult to conduct scientific studies on its uses and effects. These findings add information, and another point to consider, in the ongoing debate over whether medical marijuana is an overall benefit to public health. The study was designed by Sabia and his fellow researchers, doctoral students Timothy Young at SDSU and Jeffrey Swigert at Cornell. They used health surveys that were conducted by the Behavioral Risk Factor Surveillance System since 1985. These surveys are sent to more than 400,000 adults each year, and contain questions on a range of personal health information, including body weight and exercise habits. Sabia, Young and Swigert used these surveys to estimate the differences between those states that allow medical or recreational marijuana, and those that do not. To estimate how marijuana use affected body mass index, they created “synthetic” statistical profiles, sampling data from states that do not allow any form of marijuana, to similar data in states where medical marijuana is legal. In this way, by piecing together all the information, they were able to calculate what body mass index would have been had legalization never taken place. These findings, while intriguing, only call for more detailed studies to be done. But in the meantime, it’s clear that the best grass for weight loss is the still kind you flatten under your sneakers while out for your morning exercise. And pot can probably only help you slim down if it’s on your stove with oatmeal in it. All in all, still not a bad deal. For many years, there have been studies about the effects of second-hand cigarette smoke. It is now accepted that there are negative health consequences to breathing second-hand cigarette smoke. But what about second-hand marijuana smoke? 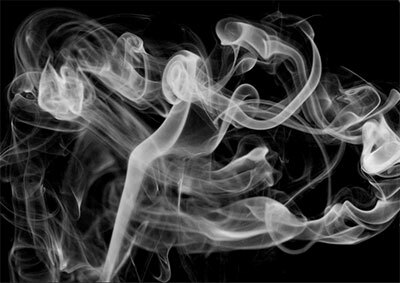 The two questions that most frequently arise regarding second-hand marijuana smoke are whether a non-smoker can get “high” just from breathing second-hand smoke (sometimes referred to as a “contact high), and whether someone could test positive for marijuana just from being around others who are smoking. Unfortunately, marijuana’s status as a Schedule One drug means that research opportunities have been limited. However, in the light of the changing legal landscape around marijuana use, this is beginning to change. A study published in April this year examined these questions. Specifically, the study set out to examine what the effects of second-hand marijuana smoke was on non-smokers in the same room, and then to examine what effect ventilation had on those results. The results found that, under unventilated conditions in an enclosed space thick with pot smoke, non-smokers could in fact absorb just enough THC to produce detectable cannabinoid levels in blood and urine, thus potentially producing a positive result in a drug test for marijuana, even if the subject had not smoked directly. The levels examined were at or just barely above the threshold, but enough. However, in the same space with the same amount of marijuana smoke, but with typical ventilation (not special or industrial ventilation systems), the non-smokers did not absorb enough THC/cannabinoids to be detectable, let alone fail a drug test. As far as whether second-hand smokers can get a “contact high” just from being around the smoke of others, similar results were found. Under unventilated conditions, those exposed to second-hand smoke self-reported minor effects. (The study did not specify if the second-hand smoke-exposed subjects were themselves marijuana smokers, had ever smoked marijuana, or had never smoked marijuana.) Because of the subjective nature of being “high,” the study began with baseline measures, and compared them to the physiological, subjective and behavioral/cognitive measures taken after cannabis exposure sessions. The study found minor increases in heart rate, mild to moderate self-reported sedative drug effects, and impaired performance on the digit symbol substitution task (DSST). Exposure under ventilated conditions resulted in much lower blood cannabinoid levels, and did not produce sedative drug effects, impairments in performance, or positive urine screen results. The study did not look at physical effect such as whether exposure to second-hand marijuana smoke has any deleterious effects on the lungs of those around smokers, such as studies about second-hand cigarette smoke have done. Presumably, this is because one is less likely to be around second-hand marijuana smoke regularly and for extended times than with second-hand cigarette smoke. In conclusion, the study finds virtually no adverse effect on non-smokers exposed to second-hand marijuana smoke providing there is adequate ventilation in the space. Over the past couple of years, more and more American doctors have begun advocating for the benefits of medicinal marijuana. They witness their patients enduring round after round of incapacitating chemotherapy, nauseated to the point of vomiting and so weak they are unable to walk. On top of these conditions, patients often feel obligated to rely on numerous prescription drugs to combat the side effects of chemo—drugs that cause more side effects, and warrant even more drugs. A patient can end up taking a dozen medications when all is said and done. And these medications don’t even address the psychological strain that cancer patients are battling every hour of every day. A Medscape and WebMD poll recently discovered that 82% of oncologists support marijuana as a form of treatment. Not only does cannabis combat the physical stresses of cancer, but also anxiety, depression, and loss of appetite. Currently, the drug is approved for medical use in nearly half of the United States as well as the District of Columbia. Partial or last-resort cannabis treatments are an option in over a dozen additional states. The common thread is that most cancer patients who gain permission from their physicians to try medical marijuana affirm that it works, and works well. Patients miss fewer days of work and feel happier. In addition, they report an improved desire for food, as marijuana is the only anti-nausea remedy that actually boosts appetite, according to the oncology and hematology chief at San Francisco General Hospital, Dr. Abrams. He goes on to assert that prescribing one medication—cannabis—is much more efficient and effective than prescribing multiple drugs, which may combine in such a way as to create negative physiological reactions in the patient. A professor at Albert Einstein College of Medicine, Dr Kligler, believes that plenty of research affirms the harmlessness of cannabis, as long as the dosage is right. Why would any physician want to withhold a treatment that is so productive and so safe, and could transform the experience of cancer patients on a large scale? A 2013 article published in Evidence-Based Complementary and Alternative Medicine documents that after a double round of phone interviews with cannabis-using cancer patients in Israel, the majority of the 131 study participants claimed that the marijuana helped them, while only four percent complained that their symptoms worsened. A similar article presented in JAMA examined the results of almost 80 studies on cannabinoids focusing on multiple factors, such as nausea and vomiting, appetite, and chronic pain. This evaluation demonstrated that out of the 6500 patients involved, most reported a decrease in unfavorable symptoms in comparison to patients using a placebo. But the study also revealed that the cannabinoids’ influence on nausea and vomiting was minimal, and even that the marijuana caused vertigo and hallucinatory episodes. Researchers warn that in any study of cannabis use, patients can show bias depending on their feelings about marijuana, or mix up what they think are the effects of the drug with the effects of their traditional prescriptions. As with all studies, nothing is 100% accurate or provable. As of now, experts are familiar with only two cannabinoids out of the nearly ninety that at least one breed of marijuana plant, the sativa plant, contains. These two cannabinoids are tetrahydrocannabinol (THC) and cannabidiol (CBD). From knowledge of these two chemicals has come synthetic cannabinoids, Marinol and Sativex, to treat chemo-induced nausea and vomiting as well as symptoms related to AIDS. While Marinol is FDA-approved, Sativex, a mouth spray to relieve MS-associated pain that is currently on the market in Europe and other countries, has yet to be. The effectiveness of a drug like Sativex is questionable according to the results of one study, but the pharmaceutical company that makes it continues to run trials. The tough part about understanding how marijuana works is that it is a fairly intricate plant that seems to profit the body in a myriad of ways. Researchers would have an easier time articulating why and how cannabis reduces side effects such as nausea and vomiting if it were a drug specifically contrived for that purpose. Much about marijuana appears to be ideal for cancer therapy, but the drug is still not an exact science. Physicians have begun to realize the palliative benefits of cannabis. Unfortunately, funding for palliative care in general is scarce. If money for pharmaceutical research is available, it is targeted for treatments that will modify a particular disease. But experts are starting to understand that cannabinoids can help people to forget things…including pain. And since nausea is a reaction of the central nervous system, cannabinoids can alleviate it successfully. All in all, both physicians and patients are coming around to the concept of marijuana as a therapy worthy of investigation and respect. Even the presidential administration has decided to lighten some of the limitations on medicinal marijuana research. The truth is that the drug gives patients control over their suffering. It improves their quality of life, and infuses them with the psychological, emotional, and physical strength they need to keep fighting for their health. Is pot good for anxiety, or does it make it worse? People think of marijuana as a “mellow” drug, one that makes users calm, even lethargic, and happy. So shouldn’t that mean that pot would be great for dealing with anxiety? But, not so fast. Some research suggests otherwise. It could be that people who are prone to anxiety or panic attacks may find their condition worsens with marijuana use. Only recently have there been widespread studies of cannabis, because of its classification as a Schedule 1 drug. But as more state legalize medical marijuana, more research is finally being done. Medical marijuana can help people suffering from seizures. Parents of children who have rare conditions that cause dangerous seizures have become known as the “Mommy lobby,” and are pushing to allow use of medical marijuana in oil or edible forms for these children. Cannabis does have an effect on stress levels. The brain’s own neurotransmitter system is wired to receive cannabinoids, through the brain’s endocannabinoid system, which is involved with appetite, pain-sensation, mood, and memory. This system uses neurotransmitters, and mediates the psychoactive effects of cannabis. 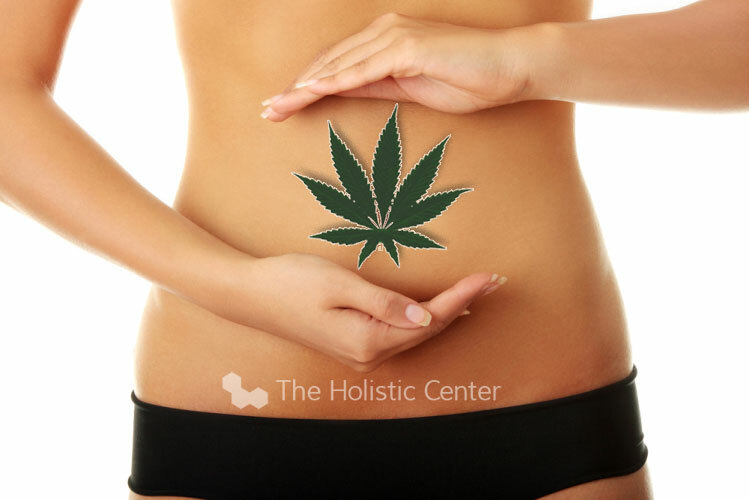 THC interacts with anandamide, one of those neurotransmitters, creating a happy, relaxed feeling, as well as sleepiness. Although in the short term, pot may seem like a way to bliss-out, long-term use is another matter. Some studies have shown chronic use can result in IQ and memory loss. Other studies have hinted at a link between marijuana and psychosis, especially for those with a pre-existing genetic vulnerability. One study found similarities between the way that pot and schizophrenia effect the brain, with both producing an inability to filter out certain stimuli, a sense of heightened significance (those “aha!” moments), and even changing the way we see reality. So, if you struggle with anxiety, would using pot make it better or worse? It’s hard to say, since marijuana effects everyone differently. But for those prone to panic attacks and anxiety disorders, pot might not be the best medicine. These people may experience worse anxiety when smoking weed. Certainly, using pot, or alcohol, or food is no substitute for therapy to get to the root of actual problems. Anxiety is a symptom of something deeper. Only understanding where it comes from can really help. Below are the costs of Medical Marijuana from state to state in the US. All states handle marjunan differently. The further east you go in the US, the more expensive the cost from acquiring a doctors approval, finding a caretaker, and then purchasing the marijuana from the caretaker. 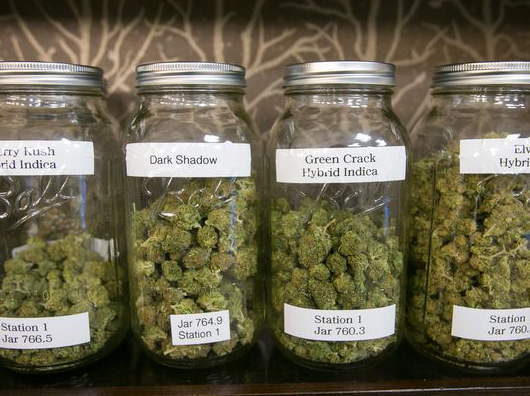 All prices reflected is the cost for High-Quality Marijuana. You must have a doctor’s approval and the cost is $170. If you are low-income the cost is $120. The cost per ounce is the lows of all the states at $208 per ounce. Now that the state of Washington has voted to legalize marijuana, there is no need for a doctors approval. The source of marijuana is from local dispensary. Colorado was the first state to sell Marijuana to the public. No doctor visit is required. The state of Massachusetts requires an approval from a certified Marijuana Doctor. The source is from a specific caregiver and the caregiver can only provide for 1 person. To get approval in Vermont you must visit your normal doctor for approval then send $50.00 to the state with a form to then be approved or denied. The source is from a marijuana caregiver. Rhode Island requires a doctor visit for approval. The source is 1 caregiver to every 5 people. The cost per ounce is $334. You must visit a handful of doctors that are registered with the state then once approved you may visit 1 of the 3 current dispensaries. There you will pay a high fee per ounce at $349. In Maine you may visit your normal doctor for approval and the source of marijuana is from a dispensary. The cost per ounce is $322. The most expensive cost per ounce at $353. When someone suffering from a chronic illness decides to turn to medical marijuana for physical and emotional respite, he might be surprised to find that an array of green-leaved options awaits. Three main categories define most cannabis strains—indica, sativa, and hybrid (a combination of the first two categories)—though the number of specific sub-species of marijuana probably stretches into the thousands. The type of plant that a patient chooses depends on the symptoms with which he is struggling and the nature of the relief that he desires. If he is seeking a lift out of the doldrums, a stimulating and energizing pick-me-up, then the sativa strain would prove the best route to holistic self-healing. 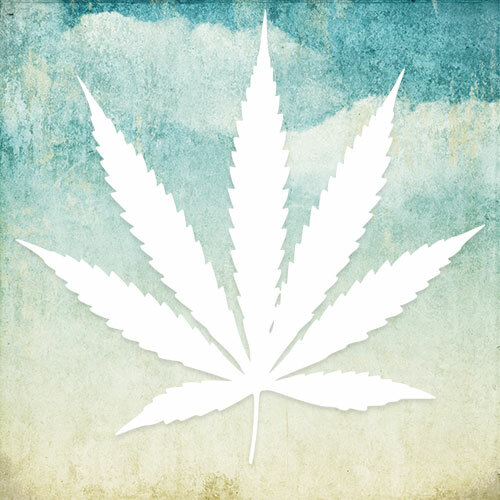 Cannabis sativa grows fast and tall in the tropical weather of nations such as Mexico, Colombia, and Thailand. These lithe plants sprout slender, light-green leaves, and can reach heights of 20 feet. Their growth cycle usually takes anywhere from 10-16 weeks. Of all of the cannabinoids, or chemicals present in marijuana that trigger psychoactive responses in the brain, delta-9-tetrahydrocannabinol (THC) is most prevalent in the sativa plant. THC fits together with nerve cell receptors in the brain to provoke the release of dopamine, a hormone that induces euphoria. Increased creativity, stamina, and perceptiveness are additional outcomes of taking sativa due to the high levels of THC. On the other hand, unlike indica, sativa is low in cannabidiol (CBD). CBD provides more medical benefits, such as alleviation from pain, antioxidant properties, and anti-psychotic effects. While indica’s pungent and sour odor suggests the drug’s power to heal physical ailments, the often fruity, flowery scent and taste of sativa seem to reflect its invigorating and inspiring qualities. Popular sativa strains these days include Durban Poison, Jack Herer, and Purple Power. Any mood-enhancer can soothe stress, leading to a more positive outlook and increased motivation to enjoy life. Sativa can help a patient find the humor in the most ordinary of daily routines, the brilliance and intrigue in a place that he has visited dozens of times. 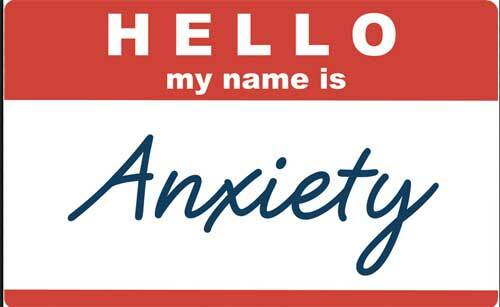 It combats the confusion of ADD, and cranks down anxiety. It can transform a reserved personality into a Chatty Cathy. Though sativa can cause a loss of appetite, too, many users feel that the drug’s ability to reverse feelings of depression far outshines this drawback. Those who want to wash away the more literal aches and pains associated with cancer treatments, migraines, anorexia, bronchitis, and arthritis should try indica. Those who prefer to battle their conditions with an intense cerebral high—one that ignites the imagination, massages the spirit, and brings everything into colorful clarity—will find a loyal friend in sativa. Envision you visit a doctor. She reviews your medical records to determine whether you qualify as a medical marijuana patient. Her review consists of decades of experience, knowledge and a deep concern for your health and well-being. She asks you several questions and creates a relationship with you. She provides you with a medical marijauna certificate. It is her opinion that medical marijuana will be beneficial to treat your condition. You feel confident that a professional has assessed your condition to the best of her ability. Now you go to a dispensary to buy your medical marijauna. You walk in. You see a person whose only qualifications for his job are that he is over 21 has no felonies. He looks at your certificate and says based on your condition this strain of marijauna will work best for you. You leave with your marijauna. What’s wrong with this picture? For doctors it is unacceptable. For patients it is troubling. For policy makers it is reality. But thats what we have in Massachusetts. How can it be remedied? Would love your input. The Holistic Center’s medical staff supports revising the current DPH regulation 725.020(D) to one personal caregiver to care for up to five (5) patients as in Rhode Island and Maine. Dr. Wong and Diane urge DPH to get behind the eleven dispensaries with provisional licenses and do everything in its power to facilitate and accelerate their opening. They do not support enjoining the DPH from enforcing their regulations of one patient-one caregiver (105 CMR 725.020(D)) . The Holistic Clinic’s medical staff understands that the DPH implemented this regulation to protect patients from impure medicine, con men, and common drug dealers. The staff has received several complaints from their patients that the medical cannabis they have obtained from Massachusetts caregivers has exacerbated their debilitating condition not benefitted it. Dr. Wong and Diane provide quality medical advice to their medical marijuana patients and other physicians. To this end, The Holistic Center expects the highest quality of medicine to be provided them. The Holistic Center will continue to advise patients not to obtain their medicine from caregivers who supply more than one patient. Recently the Massachusetts Department of Public Health sent letters to certified patients concerning a caregiver who provided marijuana to more than one patient. The caregiver stated that he was justified in doing this because he was in a personal service business. What he has accomplished is to provide patients with untested and perhaps mite-infested marijuana that may, in some instances like diasaling asthma, cause more harm than good to the patient. What this “personal service” provider has accomplished is to show that the profit motive outweighs providing a quality treatment to patients. Medical marijuana is not a first line treatment for medical conditions. It enhances the quality of life for those patients who are debilitated either by inability to eat, move or function or are suffering from sever pain that even a slight lessening would allow the patient to function more fully. Even the DPH regulations do not provide for the delivery of quality treatment to patients. The regulations mandate that a doctor have a bone-fide physician-patient relationship but then mandate the dispensing, education and dosage to a 21-yo whose only qualification is that he is a non-felon. This system is just unacceptable. It does not provide for any accounting as to the quality of treatment for patients. The only person accountable is the physician. The “bona-fide patient-doctor relationship” is the exact legal definition to determine whether a doctor may be sued for malpractice. Much of this work must be done to deliver quality treatment to these patients. The Holistic Clinic will be providing its patients with a through follow-up as to the strain and dosage a dispensary gives our patients and a mechanism for obtaining feedback from the patients as to what dosage and strain has provided some relief for their symptoms. We will have a liaison with the dispensaries and a patient-monitor to insure constant improvement for the treatment of our patients.